DAVID LE/Staff photo. 2/19/15. 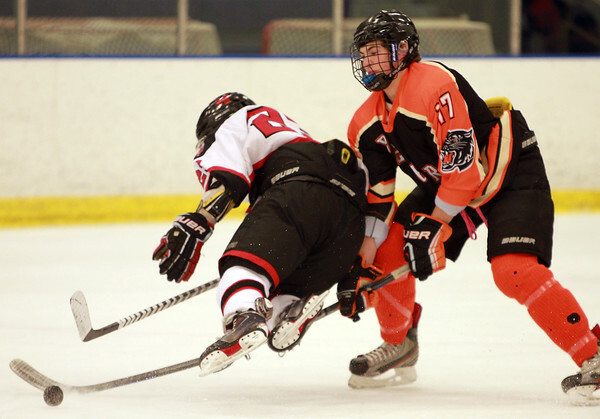 Beverly sophomore defense Luke Samperi (17) reaches out to poke the puck away as Marblehead sophomore forward Braden Haley goes flying after tripping over Samperi's stick.